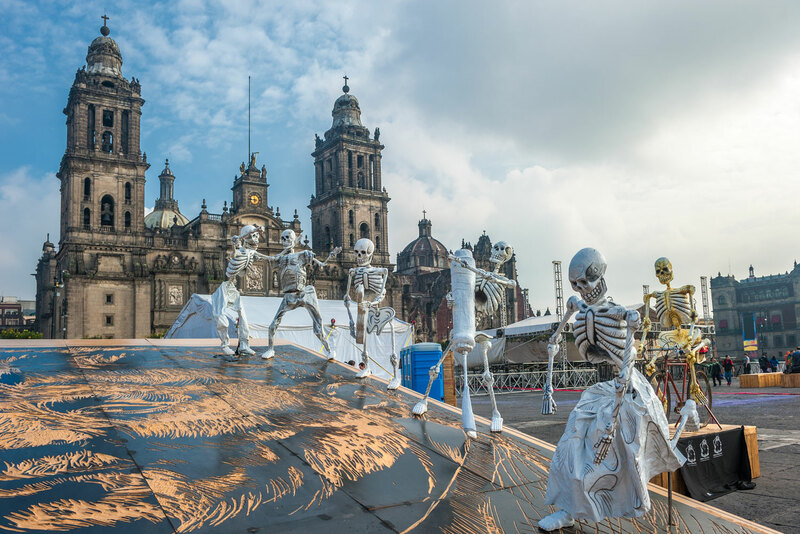 Discover why Mexico City in Mexico ranked #40 in our countdown of ‘100 Most Incredible Cities in the World’. The house that artist Frida Kahlo once lived in at 247 London Street is now one of the most beloved museums in the city, with more locals visiting than foreigners. Known as The Blue House (Casa Azul), it was converted into a museum in 1958, four years after the artist’s death. Born in the same house on July 6, 1907, in the area of Coyocoán, Kahlo was one of the most celebrated Latin American artists of the 20th century, a friend of Leon Trotsky and the wife of Mexican muralist Diego Rivera. Kahlo’s life was marked by tragedy: she contracted polio as a child, and in 1925 she was impaled by a steel handrail after the bus she was travelling on collided with a streetcar. The accident and the permanent injuries she was left with (she wore a back brace for the rest of her life) would inform many of her works, including some of her most confronting and vivid self portraits. The Blue House now contains a number of Kahlo’s most famous works, including Viva la Vida and Frida and caesarean section, as well as many personal items still in place in her bedroom, the kitchen and her study.